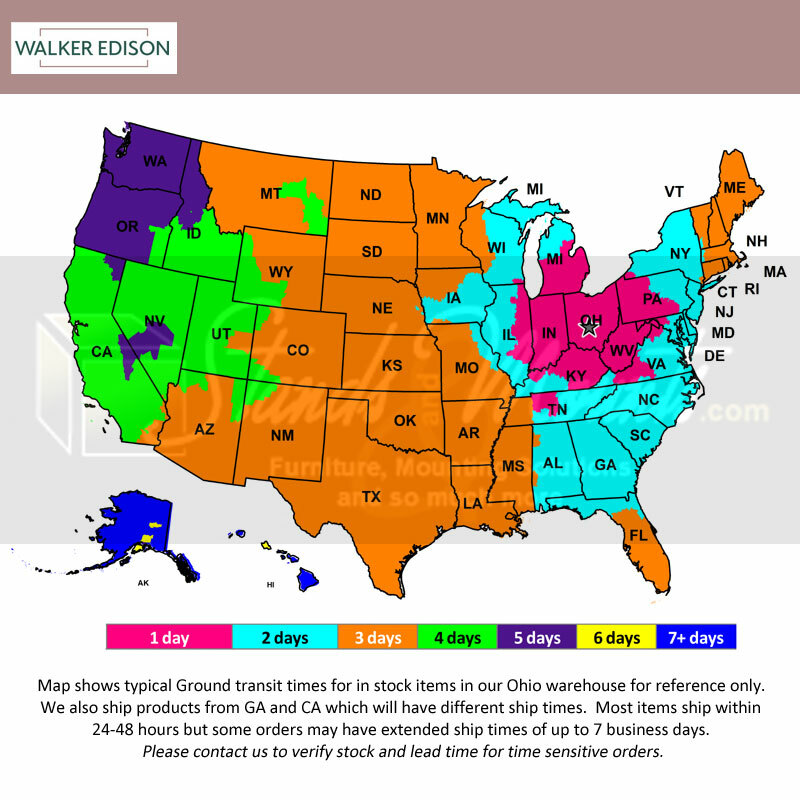 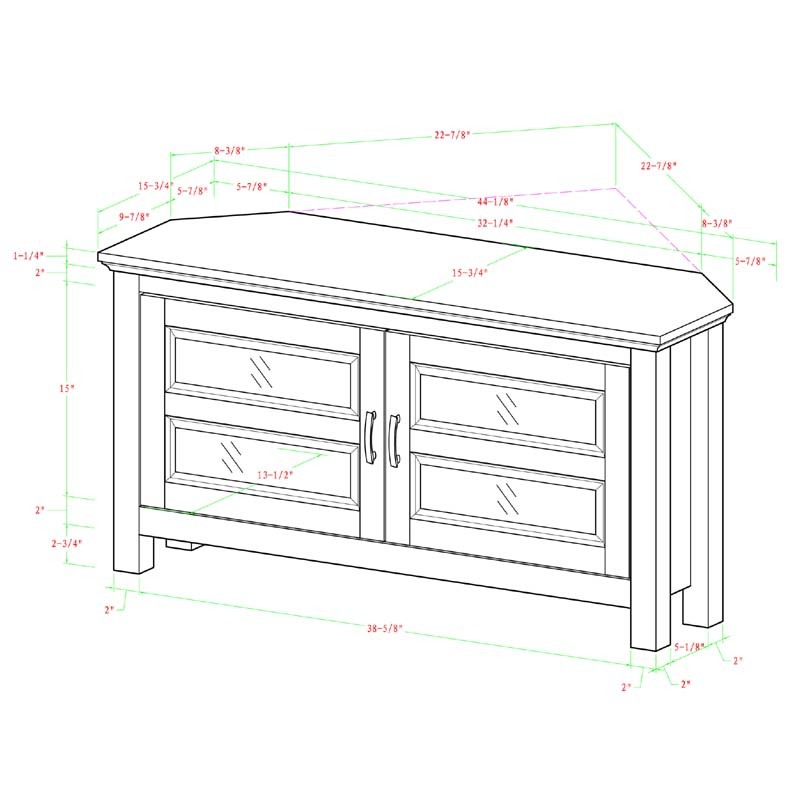 More on the Walker Edison 48 inch Corner TV Stand (Driftwood) W44CCRAG below. 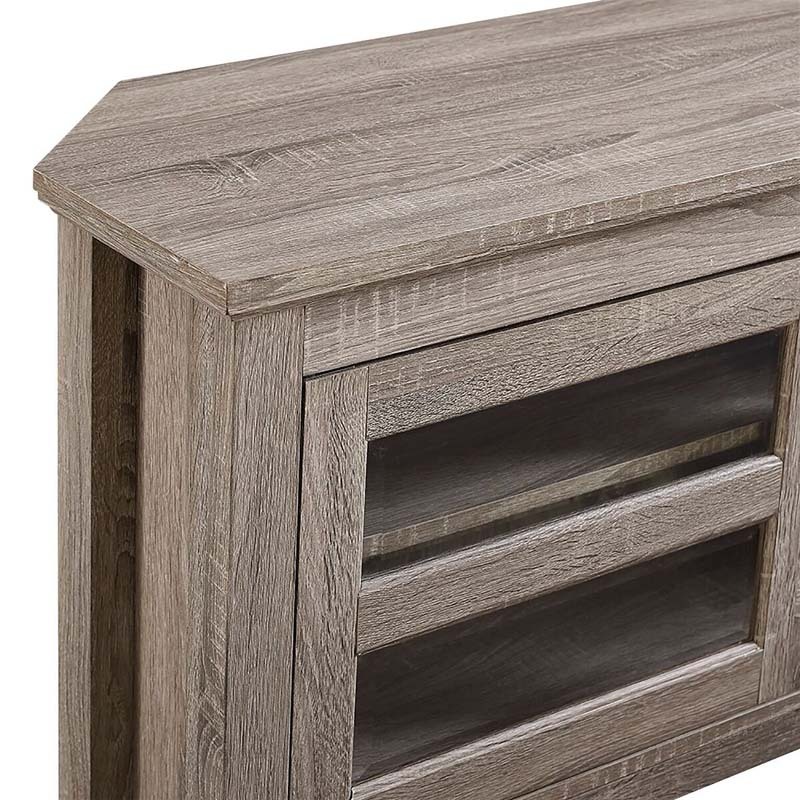 Utilize your corner space with this wood media console, its corner design makes this the perfect space saving unit. 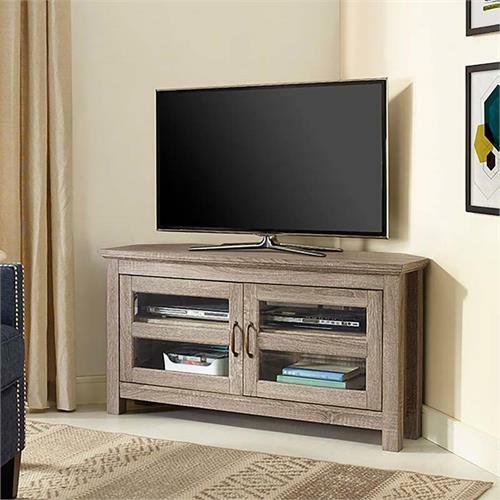 Ample media storage and two double doors with tempered safety glass panes. Crafted from high-grade MDF and durable laminate to accommodate TVs up to 48 inches.